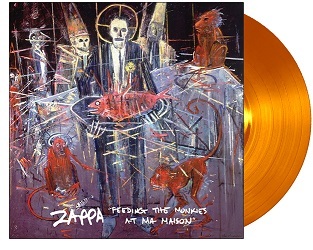 “Feeding The Monkies At Ma Maison” is a work originally intended for vinyl by Frank Zappa and realized on his Synclavier. (Consider FZ’s Grammy Awarding-winning “Jazz From Hell” as an introductory prequel, having been created earlier in the same year.) Cut directly from 1630 Digital Master by Chris Bellman at Bernie Grundman Mastering, 2015. First time the three performance will appear on vinyl. Bright orange vinyl.